Abortion Recovery Awareness Month is secular-friendly. It is free of condemnation, judgment or negative connotations. It has no political agenda! The ultimate goal is to share Compassionate Abortion Recovery Efforts with others and offer help, healing and hope! 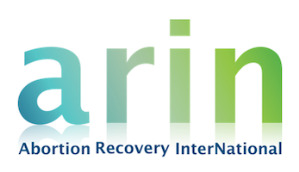 (Irvine, CA)—April is Abortion Recovery Awareness Month™ (ARAM) as designated by Abortion Recovery InterNational, Inc. (ARIN). Abortion Recovery Awareness Month™ (aka Abortion Recovery Month) was established in 2005 to encourage and extend healing opportunities to individuals and families hurting from an abortion experience. 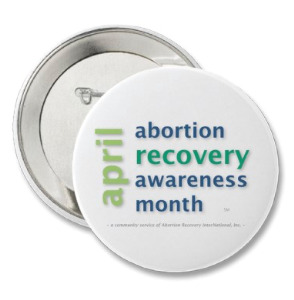 During the month of April, Abortion Recovery InterNational, their Affiliates and Advocates . . . encourage Christians, around the globe, to enlighten society by reaching out to individuals and families in their community. An Abortion Recovery Awareness Calendar for the month of April is established each year providing ideas and resources to promote healing for those hurting. Principles of Participation are available for other agencies that wish to come along-side Abortion Recovery InterNational and get involved. Abortion Recovery Awareness Month is secular-friendly. It is free of condemnation, judgment or negative connotations. It has no political agenda! The ultimate goal is to share Compassionate Abortion Recovery Efforts with others and offer help, healing and hope! Visit the ARAM website to see the April 2013 Calendar, a line of awareness products and read the endorsements from community leadership. Governor Rick Perry has highly endorsed Abortion Recovery Awareness Month as has Governors Tim Pawlenty, Terry Branstad and Bobby Jindal and Senators A.G. Crowe and David Vitter. One of the best ways to better comprehend the wounds of abortion are to hear it from those who've experienced it firsthand. Consider one of ARIN's "Share Your Story" Speakers for Abortion Recovery Awareness Month. Call them for details!